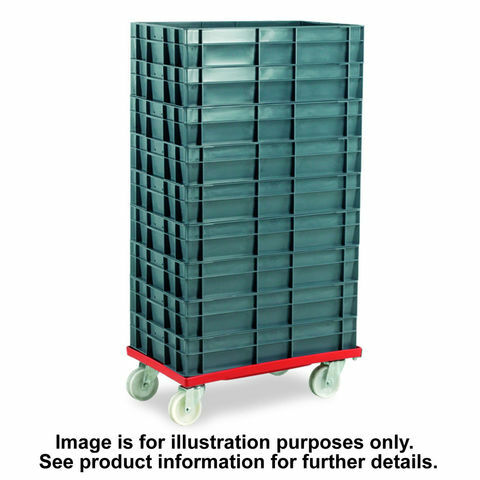 This durable ABS plastic Euro Container dolly from Barton is manufactured specifically for use with Euro Container and Stack & Nest Euro Container storage containers. 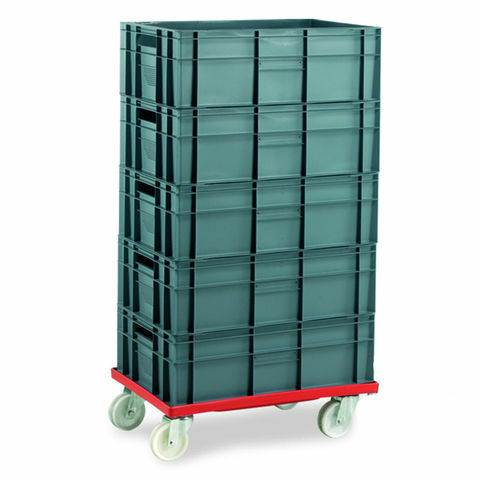 The dolly is designed to transport fully loaded containers around work spaces with ease and it can handle up to 250kg of cargo at any time. 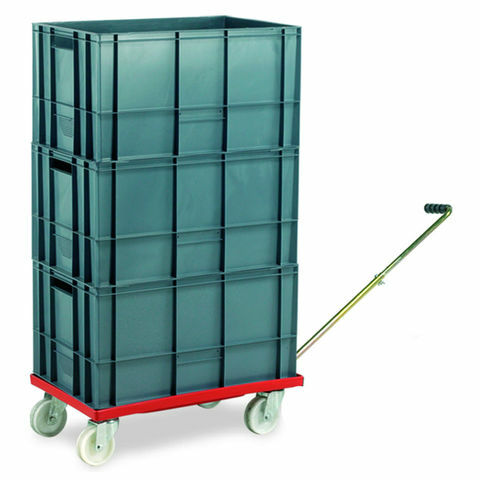 It is fitted with hard wearing, low resistance white nylon wheels for ease of use and reliability.This particularly trolley is offered as part of a package deal that also includes nine 22 litre capacity Euro Container storage boxes also. 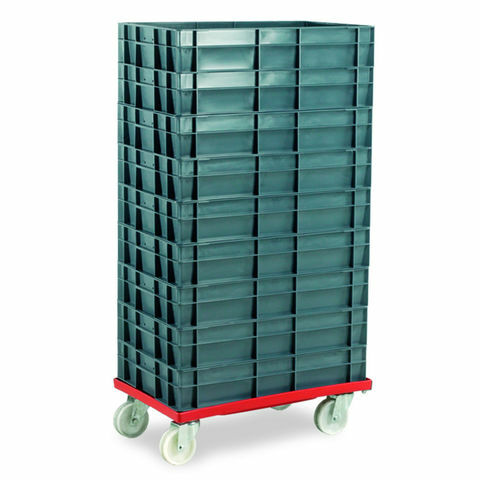 These hardwearing plastic containers are ideal for storing a wide range of items and are suitable for various applications.